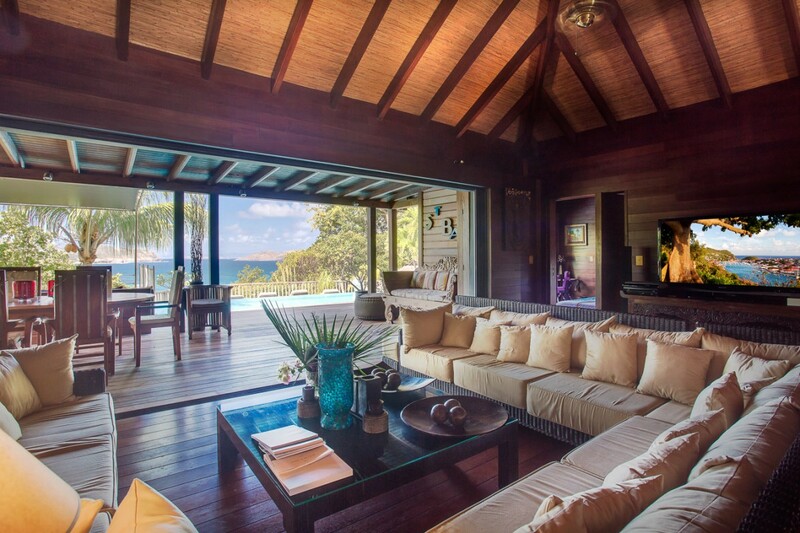 Villa Veronika, St Barts. 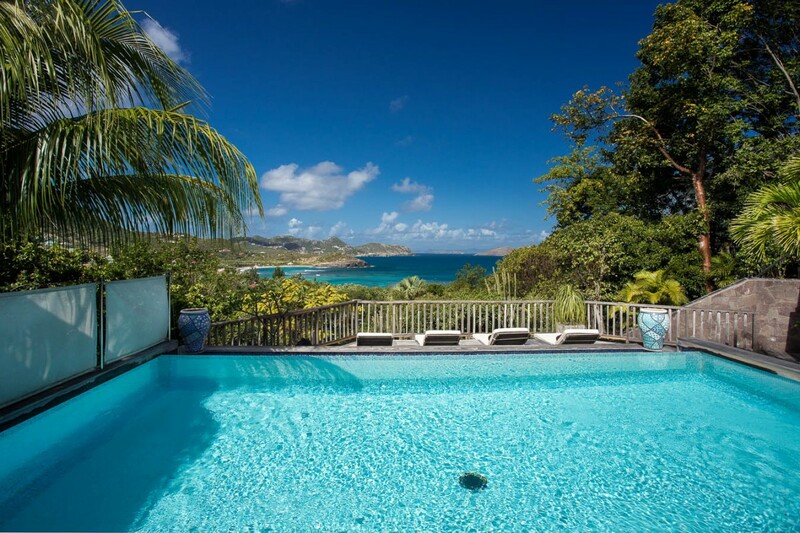 From your pool terrace, you can gaze out towards the exquisite beauty of Lorient Bay and the tropical islands in the distance when you book a stay at Villa Veronika (VKA). 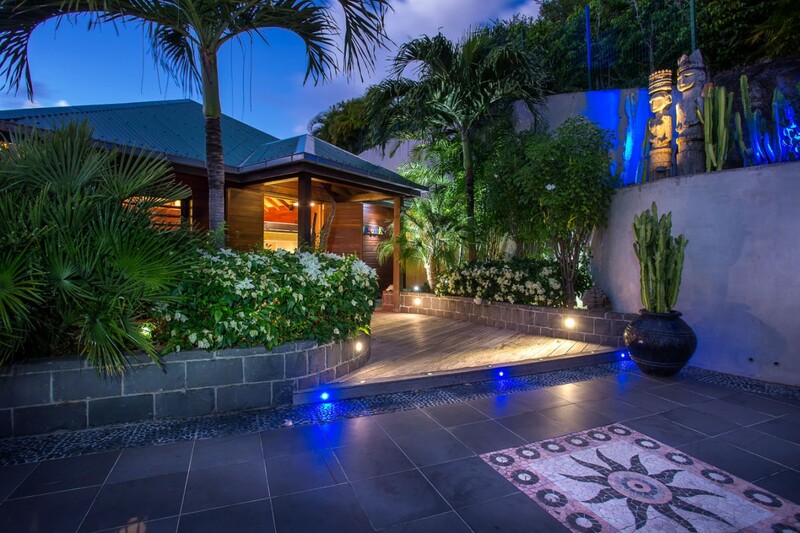 A three-bedroom gem in the Camaruche area of St. Barts, it sits in a verdant hillside, surrounded by swaying palms and mature growth. 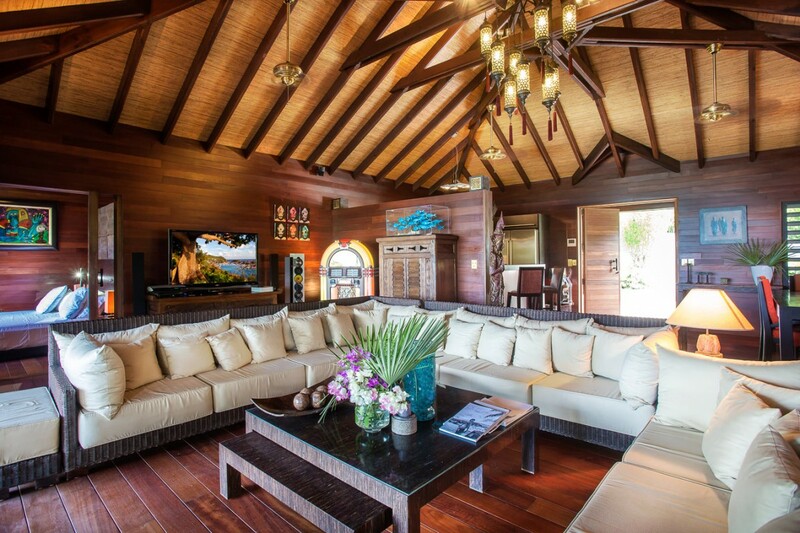 Private and luxurious, the villa offers multiple indoor and outdoor living spaces, and can easily become a holiday destination in its own right. Naturally, those views are a focal point, and you will enjoy them at all hours of the day or night from the stepped pool terrace. 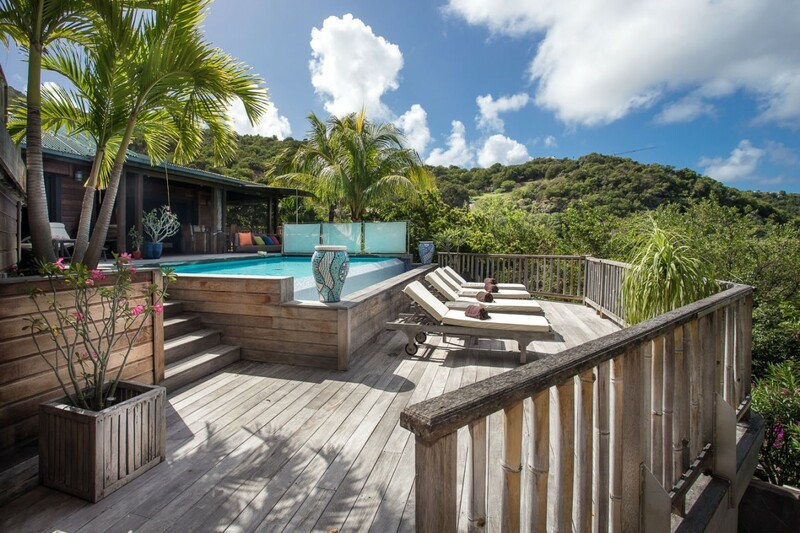 A wooden structure, it features a lower level sun deck furnished with cozy lounges, and just a few steps up is the elegant infinity-edge pool. 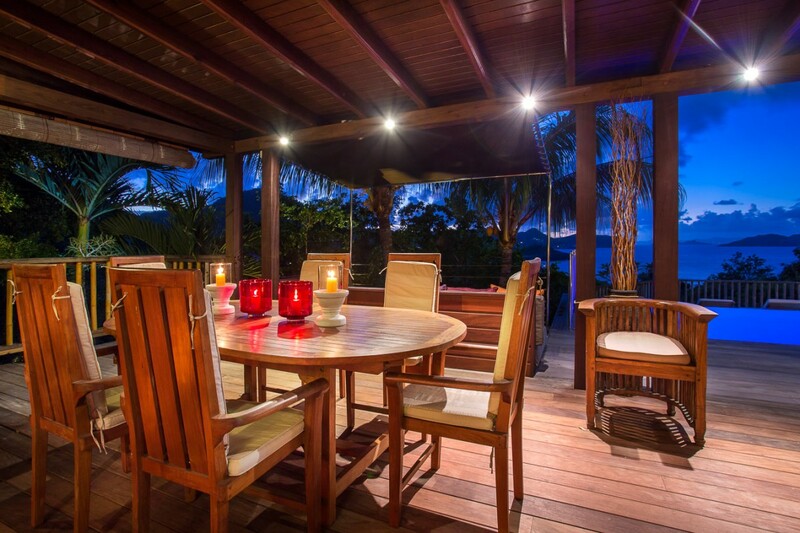 This backs up to the covered terrace area that offers a wonderful array of open air living spaces. There is an al fresco dining niche and several lounges, but step through the enormous glass doors, and you enter the fantastic great room. Stunningly rich décor fills every inch of this amazing space. 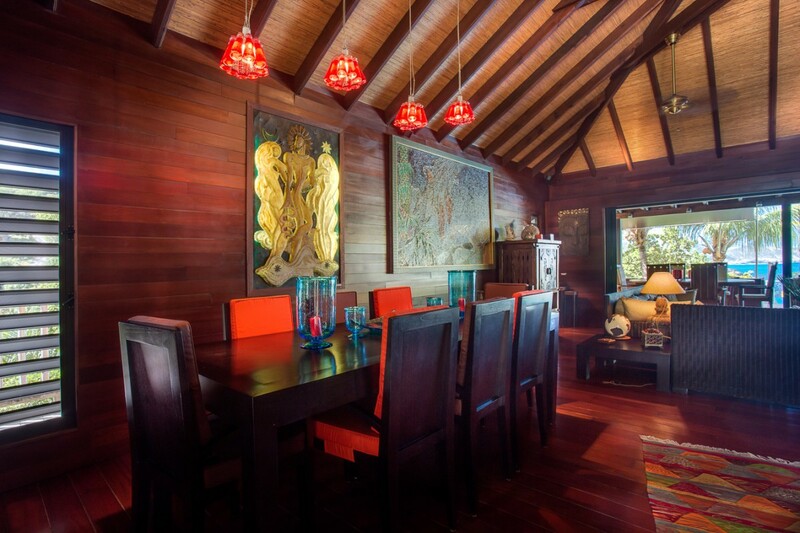 The darkly stained wood of the walls and flooring works well with the Asian-inspired décor. A massive rattan banquette frames the view and leads you to the formal dining room. 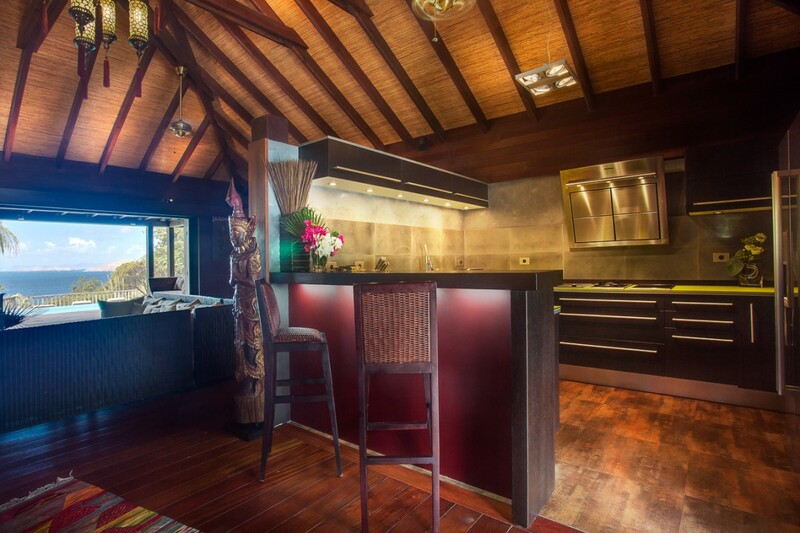 An entertainment system is also tucked into this airy space, and leads you towards the kitchen. 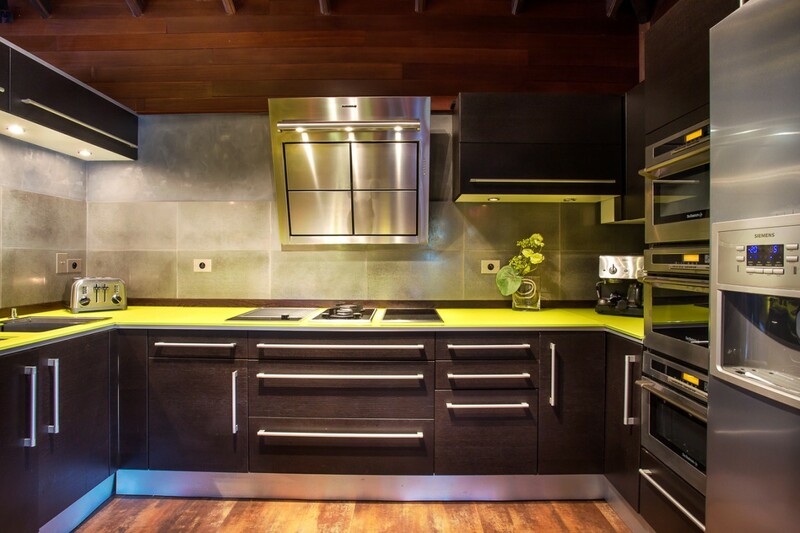 With a sun-soaked yellow palette, and deeply stained cabinetry, it is an ultra-modern space to prepare meals and snacks. The bedrooms are much more airy and bright, using palettes of white with bursts of warmer hues. 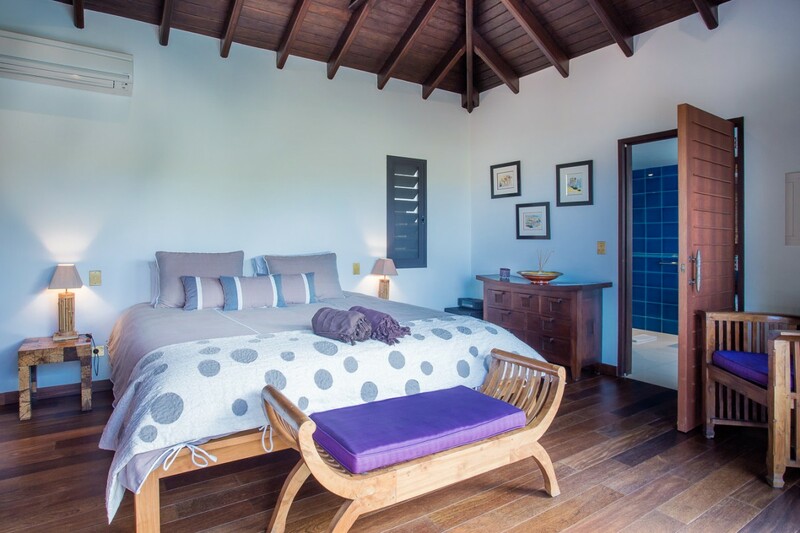 They are all ensuite, and the master bedroom is within the villa itself, facing the views, while the remaining suites are in smaller cottages that attach to the property. 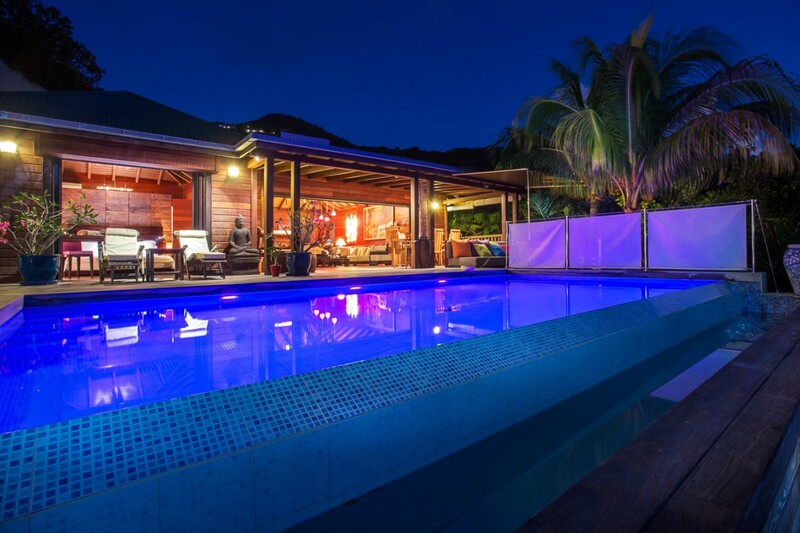 With so many luxuries and amenities, the Villa Veronika (VKA) is a fantastic choice for your St. Barts escape. 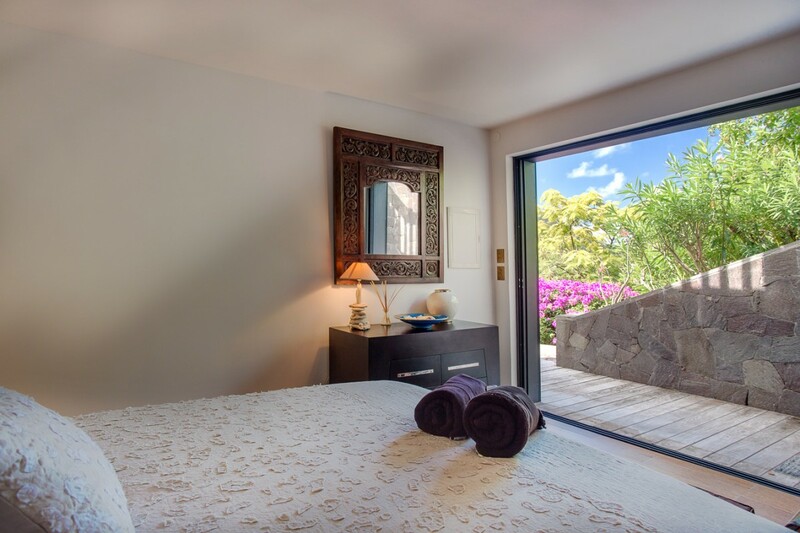 Bedroom 1: King bed, AC, en-suite bathroom with double vanity and shower, safe, DVD, pool view. Access of the living area. 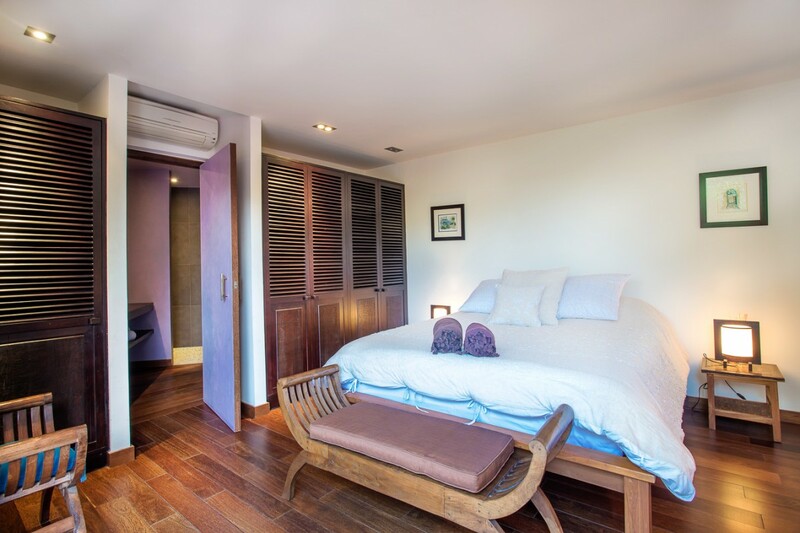 Bedroom 2: King bed, AC, DVD, flat screen TV, en-suite bathroom with double vanity and shower. 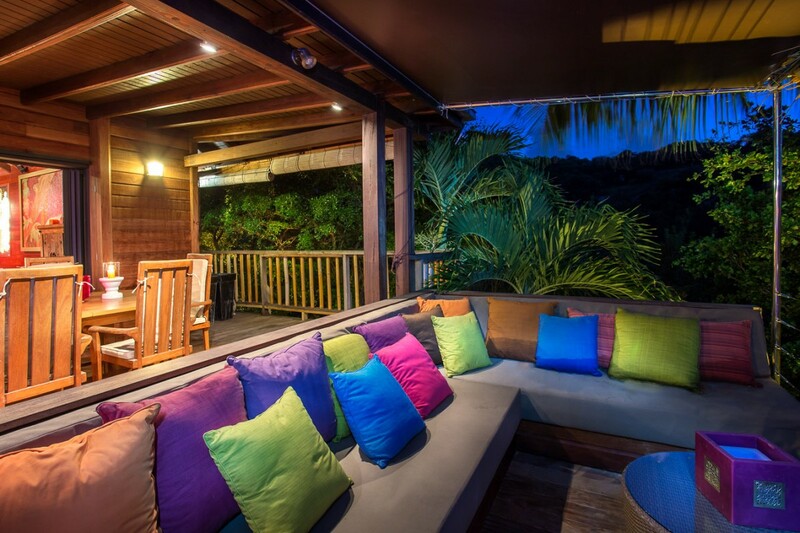 Located in main house with private terrace. Ocean view. 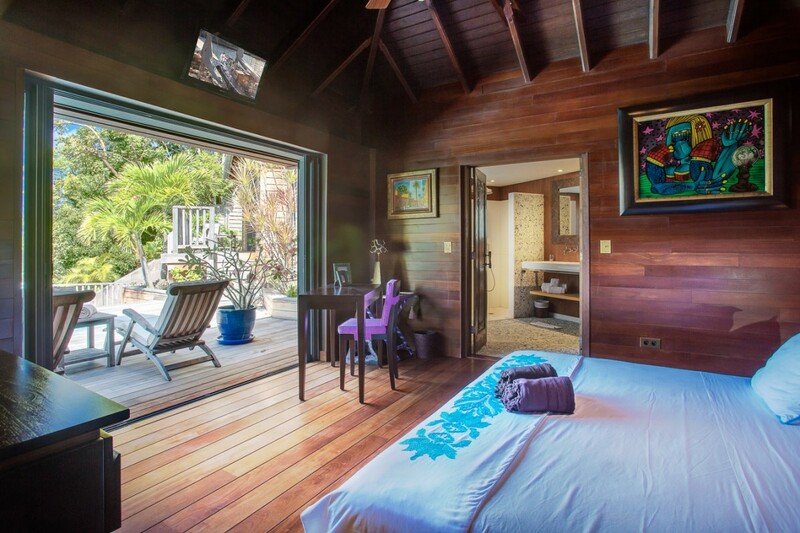 Bedroom 3: Queen bed, AC, en-suite bathroom with double vanity and shower, garden view. 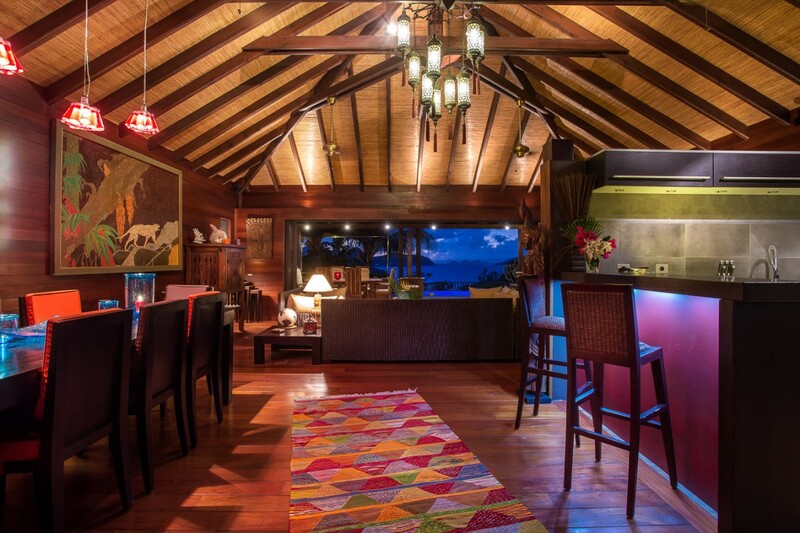 Located in separate bungalow.